Two years ago Hautlence launched the HLc collection that was recognizable by the smaller round case with a clean and more minimalistic dial. The new HLc06 comes in a rose gold case and with a lovely opaline chocolate dial. Last year we already explained the difference between the HLq and the HLq Classic. 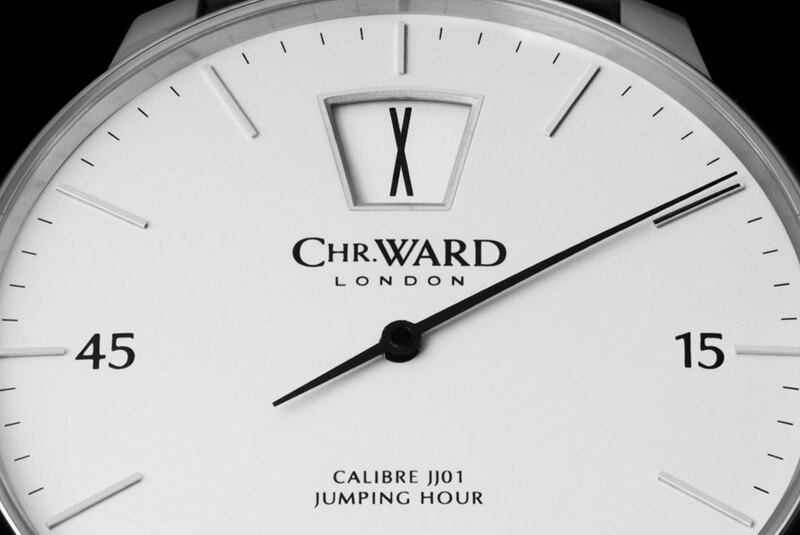 The latter is the other Collection with a 41 mm round case. The new HLc06 can be seen as a HLc02, however without the for Hautlence so typical honeycomb dial, that we told you about in the HL Ti 02 review. On the left side of the dial you can read the hours; the actual hour is visible through an aperture in a rotating ‘jump-hour’ disk. This means that disk will not slowly move around, but make an instantaneous jump at the end of the hour, in order to reveal the next hour. The minutes can be read from the retrograde minute hand, that points towards the 180 degree minute index track. The idea of a retrograde hand, is that it will move back to its starting point. When the minute hand arrives at 60 minutes, it jumps back to zero, also instantaneous. 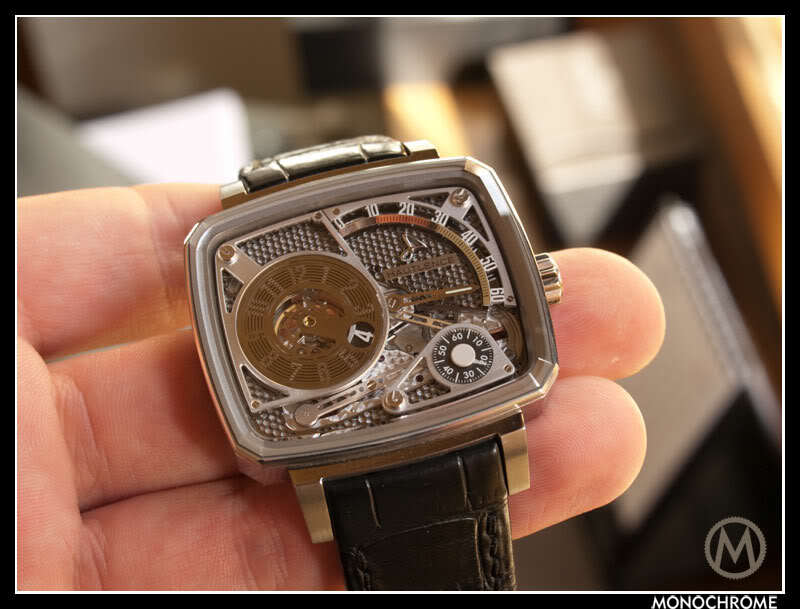 We have already explained the workings of the Hautlence movement, with its typical time indication, on several occasions however this article about the technical creations of Hautlence give a good insight. 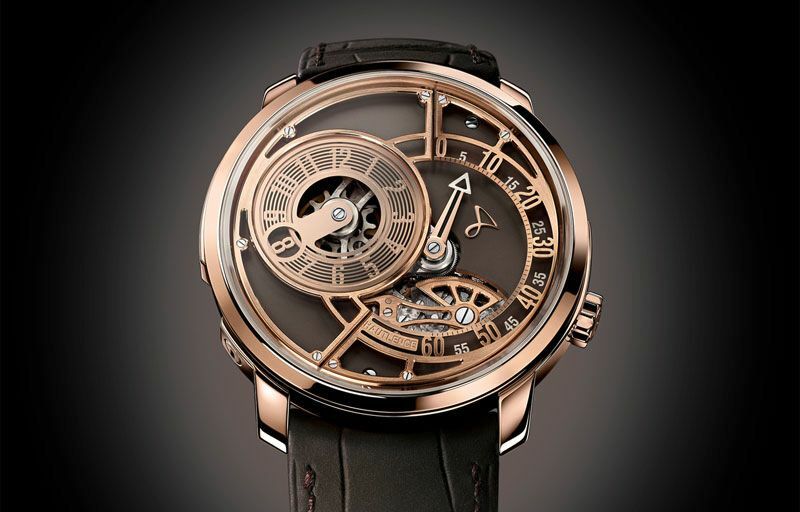 The HLc06 comes in a 18 carat rose gold case that measures 41 mm in diameter and 9 mm in height. Both on the front and back have sapphire crystal with angled edges and multi layer anti-reflecting treatment. 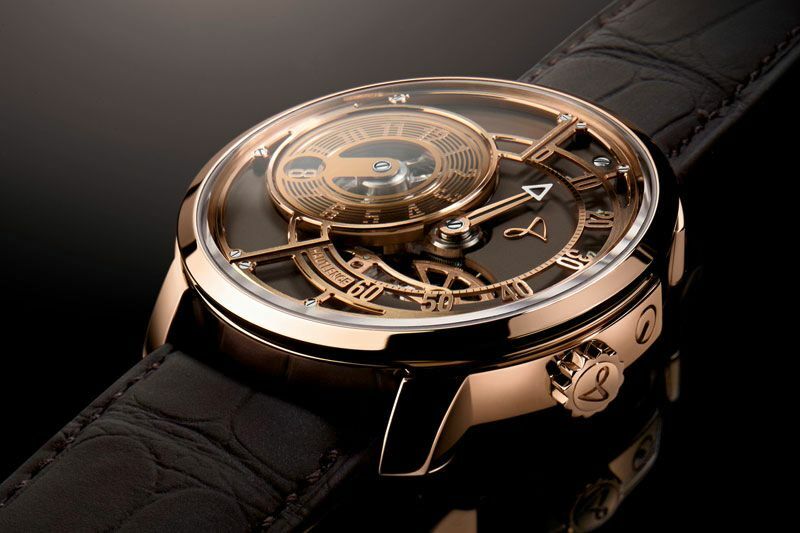 The dial is full with lovely three-dimensional details like the skeleton semi-opaque hour disk, skeleton minute hand, and skeleton minute index scale. The crown is ergonomically positioned at the 40-minute position (or usually the 4 o’clock position), so it won’t dig in your wrist. The movement is the third Hautlence in-house caliber; again a hand-wound mechanical movement with Côtes de Genève decoration and hand beveled bridges. 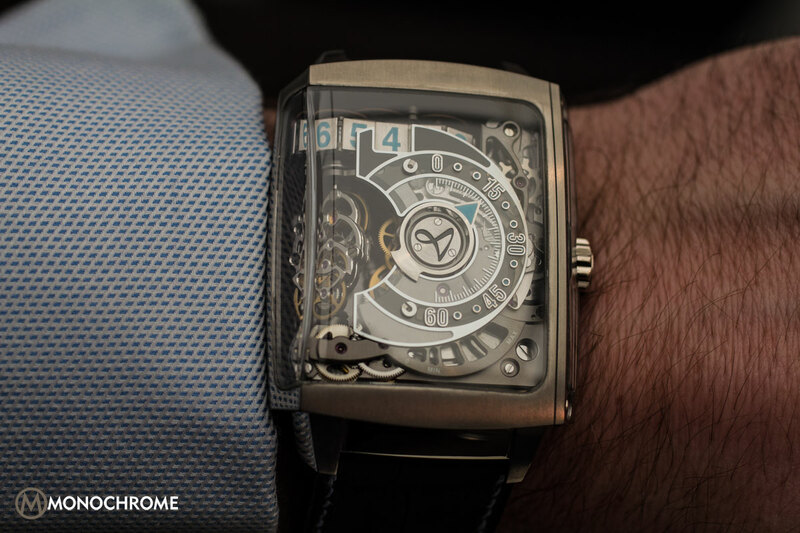 The movement has 40 hours of power reserve when fully wound. The HLc06 is like all Hautlence collections limited to 88 individually numbered pieces and comes on a hand-sewn alligator strap. There’s a choice for pin buckle or folding clasp. 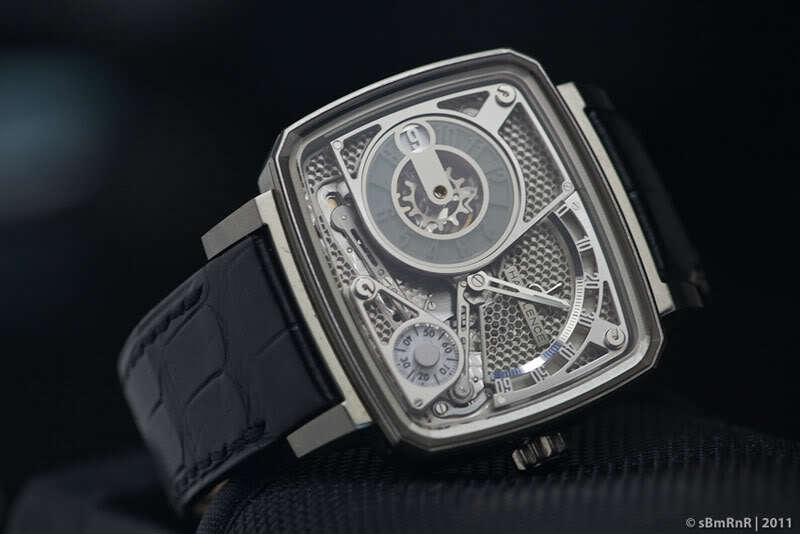 The price is CHF 57,000 for the HLc06 with pin buckle and CHF 60,000 with folding clasp (prices are including Swiss tax). More information about the HLc06 and other collections can be found at the Hautlence website and their official Facebook page.